I hemmed and hawed for a couple of weeks before finally deciding the Thursday before Spring Passport to hit a couple of wineries. I let Bob know what I was thinking, since we always enjoy wine tasting with them, and they already owned a Santa Cruz Mountains Passport. He talked to the boss and said they were in. Saturday morning Bob and Carolyn showed up just before 10. We piled into the Civic and headed over the hill. Luckily, traffic wasn't backed up yet and we made good time to Watsonville. That temperatures were in the 90s, which was unseasonably warm. I knew it would send everyone over the hill to the beach, which was one of the reasons why we left so early. 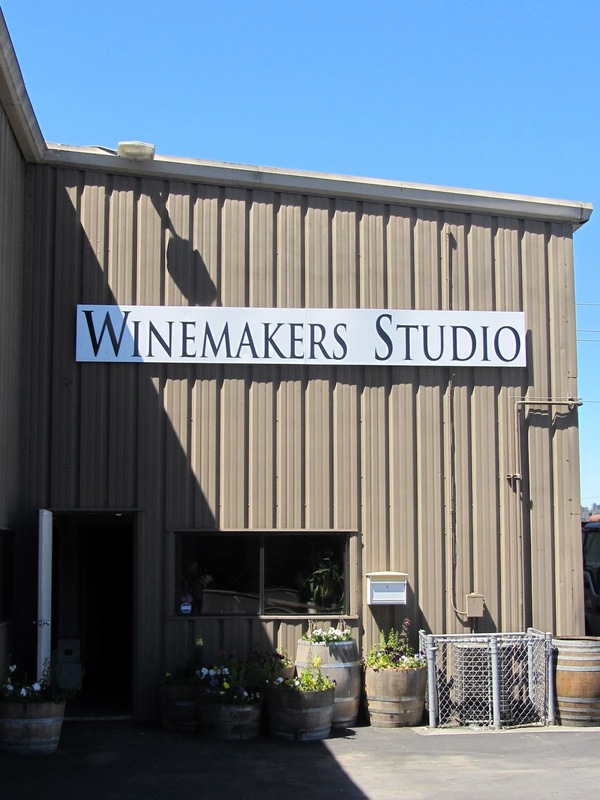 Surprisingly, we ended up at the Winermakers Studio. We were greeted by Mica Raas who told us about the co-op and the 3 wineries that were pouring there that day. He told us Al Drewke from Roudon-Smith must have hit some traffic coming over the hill, but he should be along any minute. 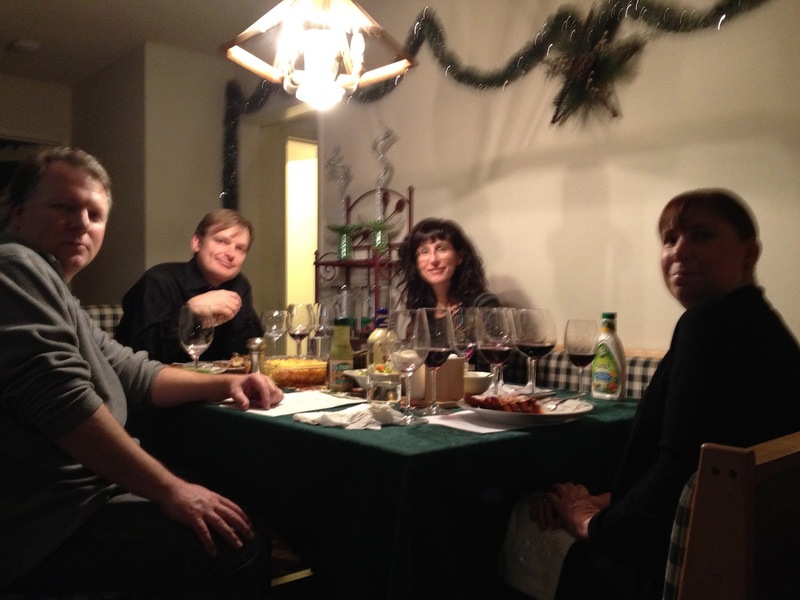 He explained that while he wasn't a member of SCMWA, he honored passports and would love to share his wine with us. He didn't need to ask us twice. Mica appeared young, but he explained that he had been making wine for the past twelve years and at a number of different places. Judging from his wine, he has learned a lot along the way. I asked him where his name came from; he said it was biblical (Micah), but that he was named after the rock (Mica). Mica infectiously poured us his creations. He showed real passion for his terrior driven wines. He poured Sauvignon Blanc, Zin, Charbono, which is apparently in low supply due to the inability to mechanize the vineyards, and CFM, his bordeaux style blend. His labels had a color scheme to associate the taste. He said blue candy doesn't taste like blueberries, it tastes like blue. I'm not certain I totally grasped it, but it was an interesting idea and the labels looked nice. 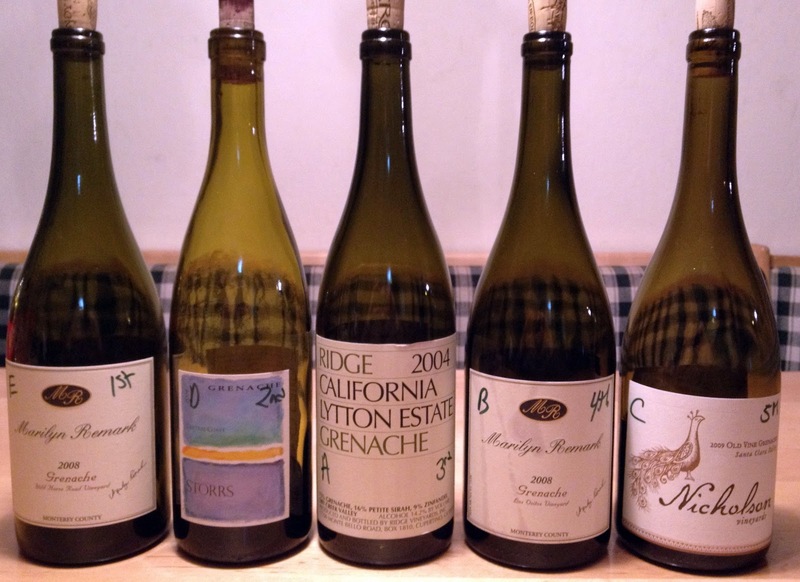 He also told us about his 91 point, "exceptional" Pinot, which he only served to Wine Club members. Bob quickly asked if he were to purchase a bottle would he allow us to taste it. Mica agreed, pouring us a taste. When Carolyn tried this she proclaimed it delicious, which is a gold star for any wine. I had to agree. All the wines were very nice. My favorites were the Pinot and Zin. Additionally, Sue liked the Charbono, which I thought tasted interesting but didn't quite work for me. I even liked the Sauvignon Blanc, which is a rarity. The prices were very reasonable, bottles were $20 or $30. Wine club members received 50% off. Bob joined, making each of the wines $10 or $15. An amazing deal! Al had arrived and was ready to start pouring as soon as we finished with Mica. He told us that they make wine that fits the fruit instead of forcing everything into the California style. When I asked if he was Roudon or Smith, he told us a bit of their long history going back to 1972. Last year they split with their partner when they wanted to head different directions. This lead to two "new" wineries: Roudon-Smith Winery and Skov Winery. 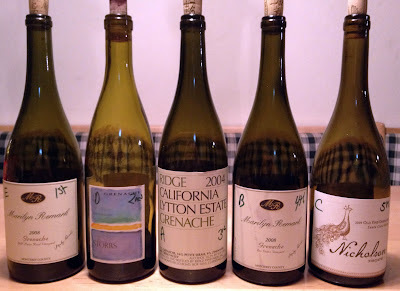 Al poured started us out with Chard, followed by a very nice Pinot with hints of spice. This was probably my favorite. Next Al poured us the RSW Cuvee, their blend which used to be called Claret. It was very drinkable and seemed an incredible deal at $15. It tasted to me like koolaid, which gave everyone else a good laugh. Of course the Nebraskan thinks koolaid is a good taste. :) The Zin and Duet were also very good. As a plus, Roudon-Smith Winery was paying the sales tax. Unfortunately, someone came in that was strongly perfumed; this set off Carolyn's asthma, so we had to leave before we could try Bump which recently relocated from Sonoma. Next we went to Pleasant Valley. See my post. 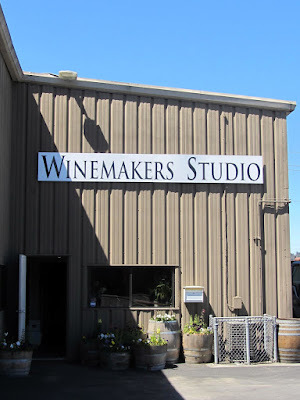 Winemakers Studio is a nice place to visit. The wine is incredibly reasonable. The wine makers are knowledgeable and entertaining. 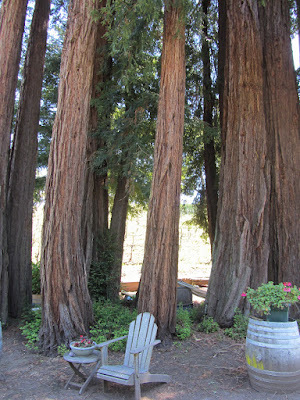 Like other urban wineries, it doesn't have the scenic views of many of the Santa Cruz Mountains wineries. 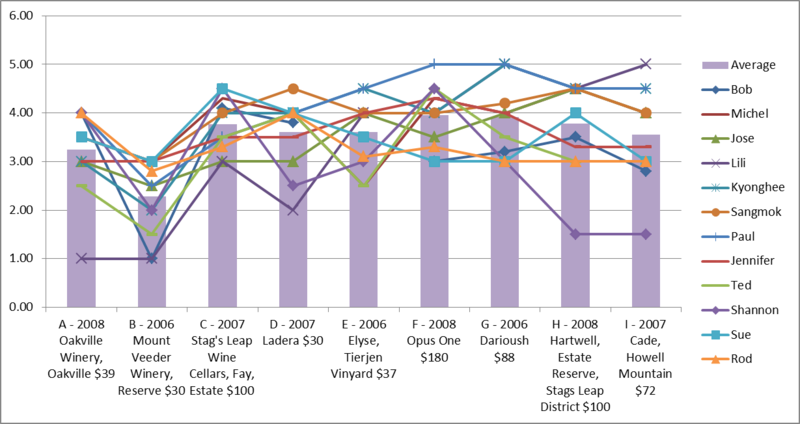 However, it does have the advantage of providing access to a couple of wineries in one place. For the longest time Paul had been thinking we should do a Grenache tasting. Knowing this, I saved all the Grenaches I ran into for the eventual event. During the Christmas break, we finally got a chance to do the tasting. Grandma watched the twins, allowing Paul and Jennifer to get out for a much needed break to taste some wine. We tasted five red Grenaches and had a wonderful dinner. Both of the girls had their favorites. Jennifer loved the Storrs, whereas Sue loved the Ridge. I thought all the wines were good, but none particularly struck my fancy. 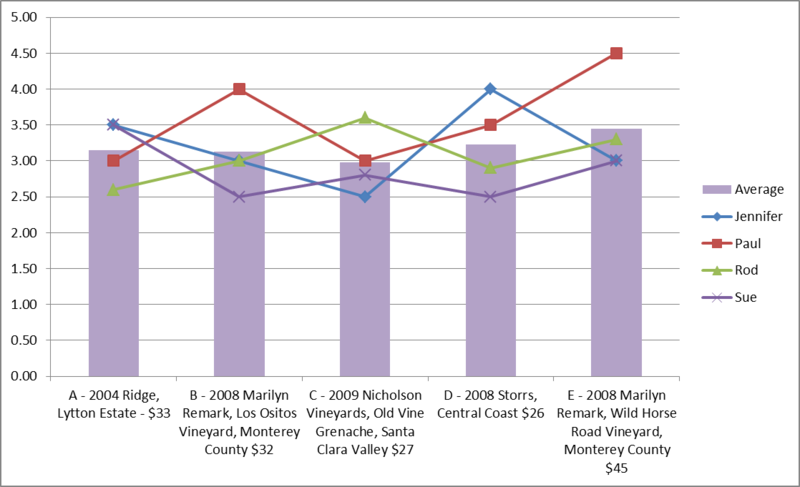 E - 2008 Marilyn Remark, Wild Horse Road Vineyard, Monterey County came in first place with an average rating of 3.45. It cost $45. 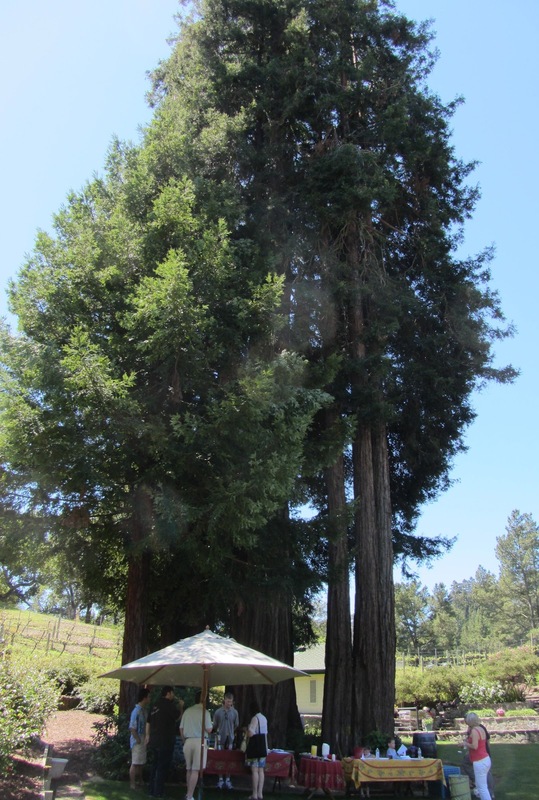 Sue and I brought this from our Monterey River Road trip with Ted and Shannon. D - 2008 Storrs, Central Coast came in second place with an average rating of 3.23. It cost $26. Paul and Jennifer brought this. 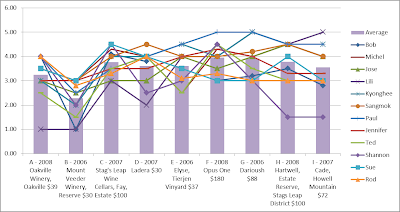 A - 2004 Ridge, Lytton Estate came in third place with an average rating of 3.15. It cost $33. Paul and Jennifer brought this. 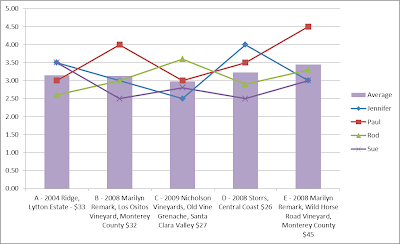 B - 2008 Marilyn Remark, Los Ositos Vineyard, Monterey County came in forth place with an average rating of 3.13, so close to 3rd. It cost $32. Sue and I also brought this from our Monterey River Road trip. C - 2009 Nicholson Vineyards, Old Vine Grenache, Santa Clara Valley came in last place with an average rating of 2.98, so close to everyone liking it. It cost $27. Sue and I brought this from our Corralitos Wine Trail trip.